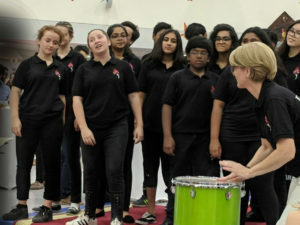 Qatar Youth Choir together with ASD’s Choirs and Band. Details TBC. Later this year in July, Qatar Youth Choir has been invited to perform in Lisbon at the World Choral Expo as one of eight youth choirs selected from across the globe. While this is an honour that few talented choirs have the privilege of, Qatar Youth Choir will need support from patrons across Doha’s business community. 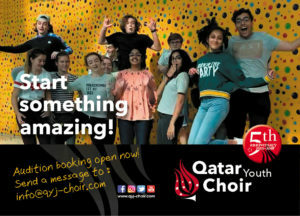 Individuals or companies interested in encouraging the choir along this exciting path, or are interested in exploring collaborative opportunities with Qatar Youth Choir, should email info@qyj-choir.com. Our younger choir is working really hard in rehearsal studio currently, preparing a large choral programme to perform in Wolfenbüttel, Germany in September. There is a wonderful sense of excitement about this trip, being meticulously planned by our parent committee. 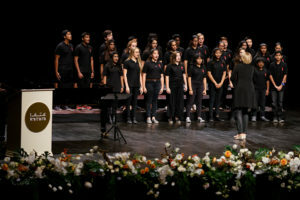 Eurotreff'19 will be a highlight in the memories of these young singers. They will participate in workshops with experience choral conductors, and will have to perform every day at different venues over the 5 days. 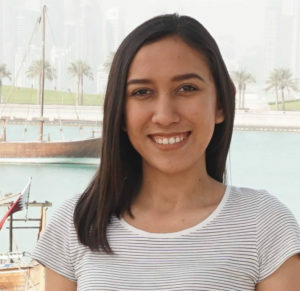 They will need a huge amount of stamina to do all of this, and hopefully, they will hear the most amazing examples of choral singing for their age group and return to Doha with renewed love for their craft and pride in what they do. 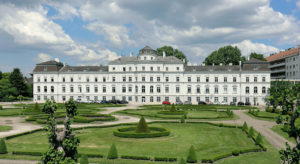 This week Qatar Youth Choir travels to Vienna, Austria, to the oldest choral institution in the world - the famous Vienna Boys Choir. There they will undertake master classes for a week and perform in concert together with the Vienna Boys Choir. 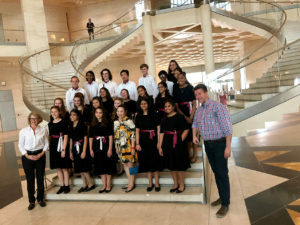 On Thursday April 4, as a special concession for visiting delegates from the International Federation of Choral Music, a short choir performance was permitted for the first time at the beautiful Museum of Islamic Art on the Corniche. This honour was bestowed on Qatar Youth Choir who chose to showcase a short repertoire of Arabic songs for the visitors. Pictured is Qatar Junior Choir working with our patron, international touring soprano Felicitas Fuchs who spent an afternoon at rehearsal with both choirs. We welcome new vocal coach Nohemi Jaime in our team! Nohemi is an opera soloist and has performed many challenging operatic roles. 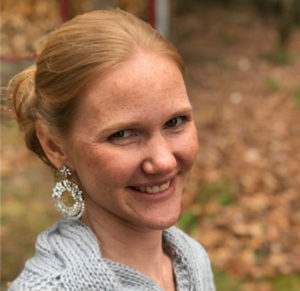 Also a warm welcome to our new choir assistant Jennifer Taynen. Jennifer studied voice for seven years through the Canadian Royal Conservatory of Music. 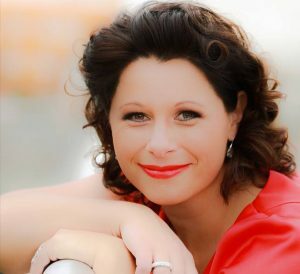 She has many years of experience as both a choral and solo singer, including festivals and competitions. 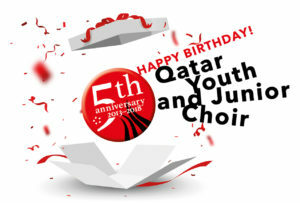 Qatar Youth Choir confirms workshops and concerts with the world famous Austrian Vienna Boys Choir. Auditions can be held at any time, but the main times to join are either early September or January of that academic year. Qatar Youth and Junior Choirs are ambitious audition choirs for the community of Doha, for mixed voices (male and female). We are recruiting singers with good voices, good energy and are interested in joining a group of like-minded musical singers. Our group works hard so that we can progress, and do exciting choir trips abroad and we have a lot of fun along the way. If you think you or 'yours' fit this description then please contact us for more information. The Polish choir Don Diri Don will visit us end October, and our host Croatian choir plans to visit us next March. In addition, we have a great variety of concerts, corporate event performances, Qatar National Music Competition, a tour for each of our choirs, including to Austria to perform and workshop with the world famous Vienna Boys Choir. 5th anniversary For our 5th anniversary we plan to do our first full recording at the end of the year. International soprano Ms Felicitas Wittekindt-Fuchs has become Honorary Patron of Qatar Youth and Junior Choirs (QYJC). This announcement offers a great boost to these two choirs to have the interest and support of such an experienced performer.